Relocating your home is never going to be stressful when you have the most reliable move out cleaning company in Atlanta on your side. 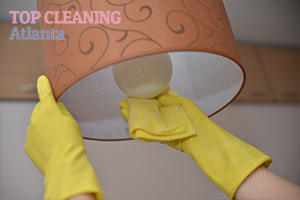 Hire our professional cleaners and check that task off your to-do list. Have full control over any cleaning situation. Our move out cleaning services are fully customizable, top-to-bottom and after just a couple of hours, your old home will be ready for the landlord’s inspection. And yes, we can guarantee you’ll get your security deposit back in full. Call (404) 596-6083 now, speak with our customer care agents and make your whole moving experience much easier. Our move out cleaners bring all the equipment and detergents they need, so you don’t have to provide anything. All bathrooms and the kitchen are scrubbed, delimed and descaled. Carpets, rugs, sofas, armchairs and other soft furnishings are vacuumed. Floors are polished and buffed. Windows are washed on the inside. Ovens can be cleaned upon request. This move out cleaning service significantly reduces the time to prepare the property you’re moving in or out. When moving in, It brings invaluable benefits to your health, as your new home will be free of dust, germs and harmful bacteria. When moving out, your landlord or real estate agent will be so impressed, you’ll get your cleaning deposit back in full.